Jumanji is definitely up there for me when it comes to adventure fantasy flicks. It was especially so in 1995 at the dawn of seamless computer graphics in movies making use of hyper-realistic images of animals ravaging the suburbs. Aside from this feat at that time, it also had a solid story to back it up that brought to screen, authentic emotions along with the spectacle it came with. 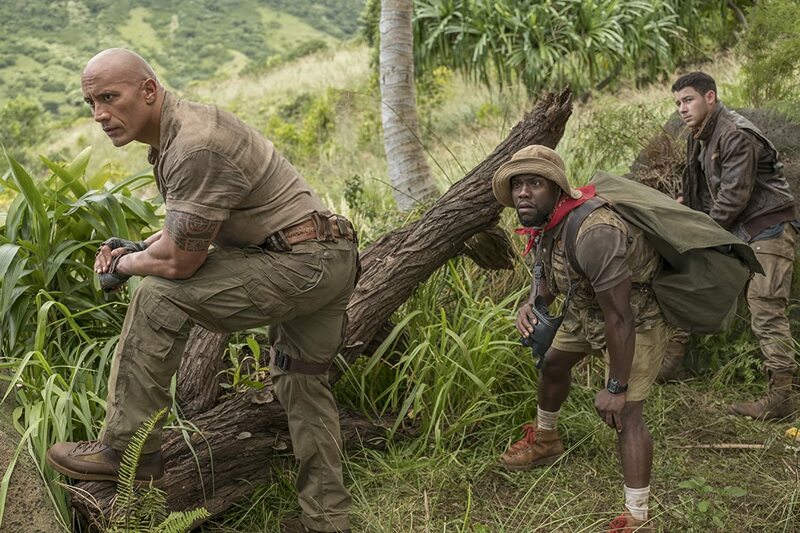 Twenty two years after, 2017’s reboot Jumanji: Welcome To The Jungle features this generation’s premiere comedians, and it looks like it’s gone on a different direction at first glance of its trailer. Did it hold up to the bar that the original has previously set? It gets a total of 11 points, which is just, just, since it really is just a popcorn flick. Though this film is saved by the spot-on comedic timing of its leads, it is a far inferior sequel to the original. I get it that it was a conscious effort to veer away from it by going the more comedic route, but at times it felt a bit half-baked. For me, if you want to go campy, don’t hold back and make the audience ROTFL. But that’s just me.